ClipBucket is a free and open source software which helps us to create a complete video sharing website like Youtube, Dailymotion, Metacafe, Veoh, Hulu in few minutes of setup. ClipBucket is the fastest growing application which was first started as Youtube Clone but now its advance features & enhancements makes it the most versatile, reliable & scalable media distribution platform with latest social networking features. It uses FFMPEG for video conversion and thumbs generation which is the most widely used application so, users can stream it straight away using the Flash & HTML 5 Players. Here are some of the awesome features available in ClipBucket. 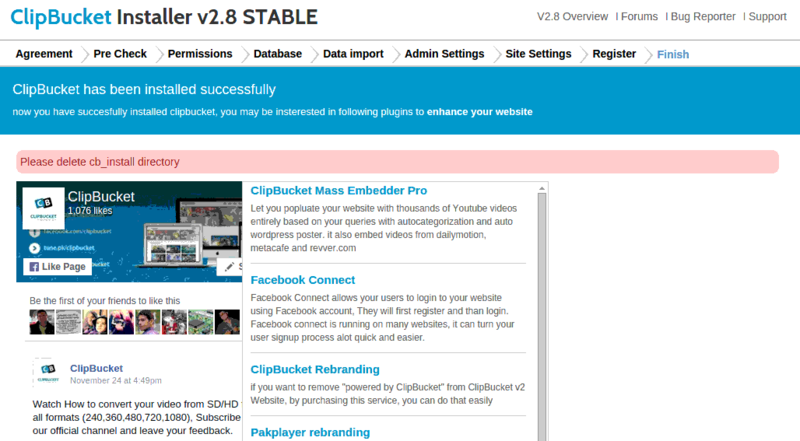 ClipBucket is 100% free and open source web application making it extensible and pretty easy to customize. It uses FFMpeg for real time conversion of videos to make on fly video conversion allowing users to stream using the Flash & HTML 5 Players. It has a beautiful media management, user management and messaging system. It also contains ajax based comments, ratings and channels and user feeds. In addition, it also consists of a built-in language editor. ClipBucket promises to make it 100% secure from different Security issues like SQL injection. Here are some easy steps on how we can setup ClipBucket to start our own Video Sharing platform running in a linux based operating system. In this tutorial, we'll cover the installation of ClipBucket in Ubuntu 14.04 LTS and CentOS 7 linux distributions. First of all, we'll need to install a complete LAMP Stack. LAMP stack is the combination of Apache Web Server, MySQL/MariaDB Database server and PHP modules. In order to setup, we'll need to run the following command as shown below with respect to the distribution of linux we're running. 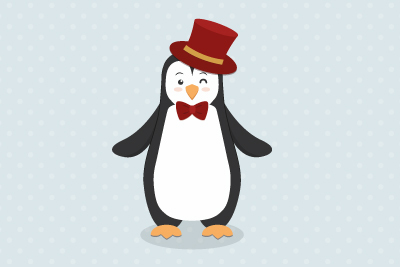 Here, in this tutorial, we'll be focusing on two distributions of linux, CentOS and Ubuntu. First of all, we'll gonna update the local repository index of our Ubuntu system so that we'll get the repository index of the latest available software packages. After the update is complete, we'll go for the installation of the lamp stack using apt-get command line as shown below. In Ubuntu, we'll be asked to enter a new password for the MariaDB root user as shown below. We'll need this password in future for accessing the root user of MariaDB database server. On CentOS 7, as we have yum as the package manager, we'll run the following command to install lamp stack. After our LAMP Stack has been successfully installed, we'll now go for the installation of ImageMagick in our linux machine. ImageMagick will allow our clipbucket to process and manipulate the images. To setup, we'll need to run the following commands according to the linux distribution we are running in our machine. After installing ImageMagick and its other packages, we'll now install imagick which is a php module for ImageMagick. To install that, we'll need to run pecl command as shown below. And then, we'll need to append /etc/php.ini configuration file and add extension=imagick.so in the end of the file. Next, we'll need to setup FFMPEG in our system. FFMPEG allows us to easily record, convert and stream audio and video. It will be used by Clipbucket to make a working video streaming site. In order to install it, we'll need to run the following commands in a console or terminal with sudo or root access as shown below. As FFMPEG is currently not available in Ubuntu's repository, we'll either need to compile it and setup using the source code or install it via a PPA hosted in launchpad. There is a PPA of FFMPEG available which we can add by running the following command. After done, we'll need to update the local repository index using the following command. Then, we can install the required FFMPEG packages by running the following apt-get command. FFMPEG is also not available in the official repository of CentOS so, we'll need to install NUX Dextop Release and EPEL "Extra Packages for Enterprise Linux" repository in our CentOS machine as its available in it. After the repositories are added in our machine, we'll now go for the installation of FFMPEG in our machine by running the following yum package manager. We'll now install FLVTool2 which is an application for the manipulation of Macromedia Flash Video files (FLV). It can calculate a lot of meta data, insert an onMetaData tag, cut FLV files, add cue points and more. To install it we'll first need to install ruby in our machine. To do so, we'll need to run the following command. After ruby and its dependencies are installed successfully, we'll need to install flvtool2 using gem as shown below. we'll then need to install GPAC which is also known as MP4Box. It is needed by Clipbucked for performing many manipulations on multimedia files like AVI, MPG, TS, but mostly on ISO media files like MP4, 3GP. To install it, we'll need to execute the following command depending on the distributions we are running. After everything above is installed successfully, we'll now go for configuring the PHP configuration. We'll need to edit the php.ini file which is located in different directory according to the distribution. In Ubuntu, php.ini file is located under /etc/php5/apache2/ directory whereas in CentOS, it is located under /etc/ directory. After opening the file with the text editor, we'll make sure that we have the configuration file configured as shown below. We'll need to append the opened file as the configurations shown below. After done, we'll need to restart the Apache Web Server that is running in our machine. 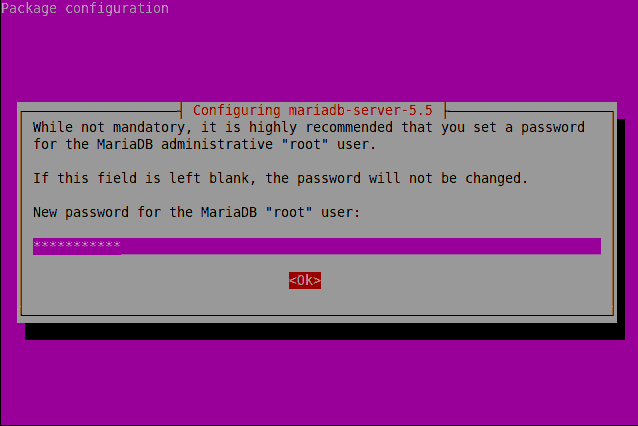 As we have already set password for our MariaDB root user in our machine running Ubuntu, we'll simply skip this step of configuring MariaDB and continue the next step of creating the database. But if we are running CentOS, we haven't configured MariaDB server so, we'll need to follow this step. At first, as we haven't set any root password for our MariaDB server, we'll need to configure a root password for it. And after its done, we'll move forward towards the creation of a database user and a database so that Clip-Bucket can utilize it to store its data. To configure MariaDB and assign a root password, we’ll need to run the following command. Next, we’ll login to the MariaDB command prompt as root. Here, we’ll need to enter the password of the MariaDB root account that we had set above. After we’re logged in into the mariadb command prompt, we’ll gonna create the database for clip-bucket. Finally, we’ve successfully created a database named clipbucketdb with username clipbucketuser and password as Pa$$worD . 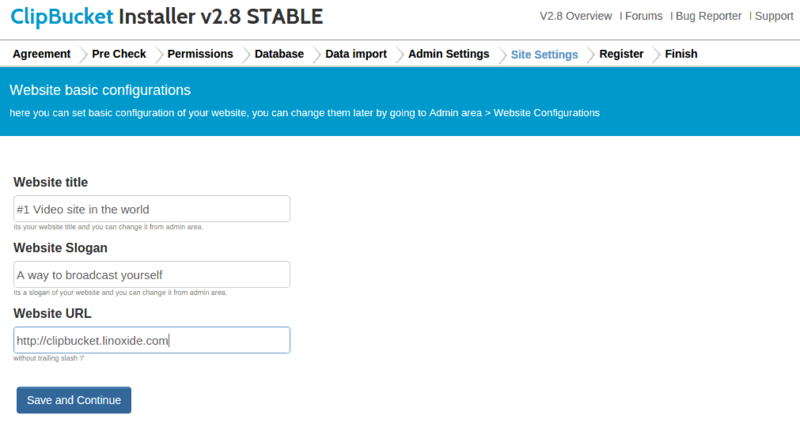 We'll now add a new virtualhost in the apache configuration so that we can define a specific apache configuration to our clipbucket installation. Creating it will help us to define specific ports, webroot, domain, alias and other configurations for our ClipBucket installation. Here are some configurations we'll setup in this tutorial respective to the distribution of linux we're running. Now, we'll gonna add the following lines of configuration into the opened file. After done, we'll gonna save the file and exit the text editor. Then, we'll need to make sure that mod is enabled. To enable it, we'll need to execute the following command. Then, we'll restart our apache web server. In our CentOS machine, we'll create a file named clipbucket.conf under /etc/httpd/conf.d/ directory using a text editor. 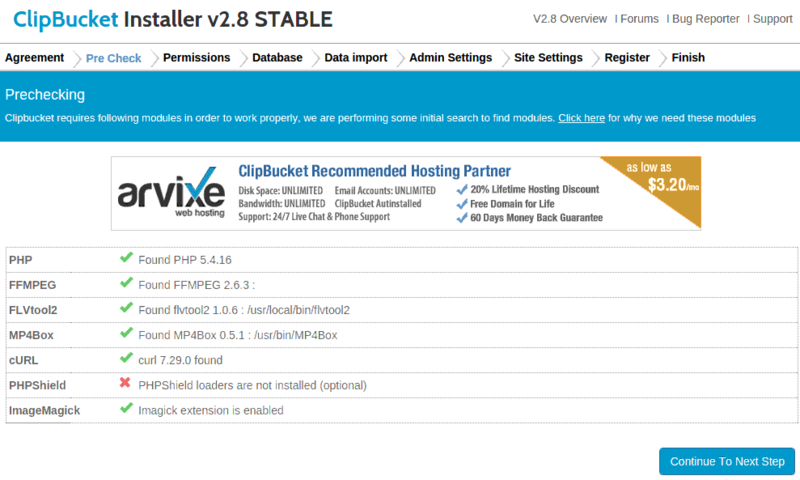 We'll now go for downloading the Clip Bucket package from the Official Clip Bucket Download Page . As the latest release of Clip Bucket is version 2.8, we'll get the link from the download page and then start the download using wget as follows under /tmp/ directory. Connecting to liquidtelecom.dl.sourceforge.net (liquidtelecom.dl.sourceforge.net)|197.155.77.8|:80... connected. After the download is completed, we'll gonna extract the zip file using unzip. Once the compressed zip file is extracted, we'll get inside the extracted folder in which we'll see two folders named upload and do_not_upload. Under upload folder we'll see that there is the ClipBucket installation file which we'll copy to the webroot of apache server ie /var/www/html/ by default. Whereas under do_not_upload folder, we'll see a file named admin_change_pass.php which we can use to change the default password of Clipbucket login administration user. To copy the installation files and directories of Clipbucket which lies under upload directory, we'll need to run the following command. After the compressed Clip Bucket zip file is extracted and moved to the webroot, we'll go further towards fixing of permission in the files and directories which lies under the installation directory. After that, we'll also set the ownership of the installation directory to apache user as it should have full access to the files. 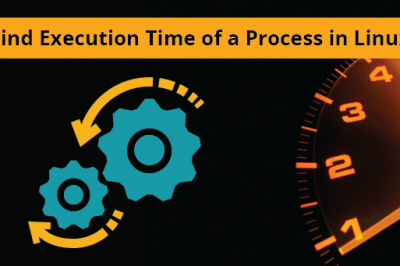 To set the ownership of the directory to apache processes, we'll need to run the following command according to the distribution as the apache process owner may be different in different linux distribution. Now, its time for setting up the cronjob for making some scripts automated. We'll need to run crontab -e command which will open the crontab file in which we'll configure the automation. Then, we'll simply need to append the file with the following lines and we can even adjust the frequency of it according to our need for better performance. After done, we'll simply save and close the text editor. Now, we'll allow port 80 to expose on the internet so that our site is accessible in the same network. To enable http or allow port 80, we'll need to run the following command. Iptables is a very popular firewall solution program used in Ubuntu 14.04. So, to allow or expose port 80, we'll need to execute the following iptables command. As systemd is used as the init system in CentOS 7, we'll have firewalld installed for firewall program. To allow port 80 or http service, we'll need to run the following commands. Finally, as we have setup and configured everything correctly in above steps, we'll now go further towards the web based installation of ClipBucket. To do so, we'll need to point our web browser to http://ip-address/ or http://domain.com according to the configuration of the server. Here, in this tutorial, we'll point our browser to http://clipbucket.linoxide.com/ . After the site is loaded in our browser, we'll see the first web installation page of Clipbucket asking us to accept the license and continue the installation. Once we have clicked on I agree and Continue, we'll be directed towards the next step of the installation where we'll see the components installed and missing in our system. Here, as PhpShield is an optional package, we haven't installed it so it must be showing red cross in it. Though, if you need to setup the missing dependencies for better performance, you can do that later too. 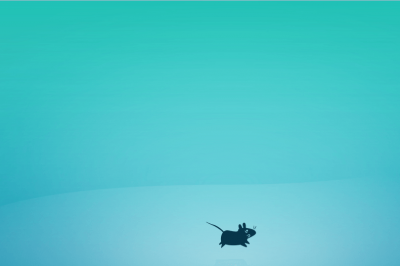 And after that, we'll click on Continue to Next Step to continue further towards the next page. In this page, we'll see everywhere green colored tick as we have successfully made those directories writeable in the above steps. So, we'll continue further towards the database page. We'll now further set the database configuration according to the database we had created above. 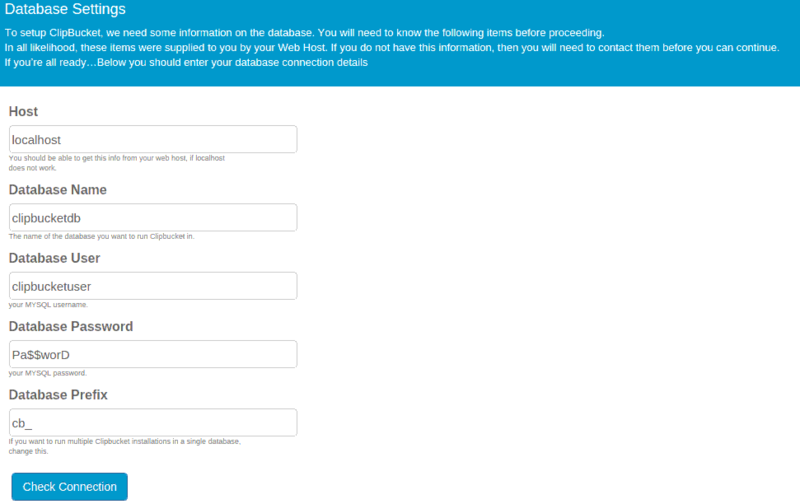 Here, we'll keep the hostname as localhost, database name as clipbucketdb, database user as clipbucketuser and password as Pa$$worD , and after done, we'll simply move forward by clicking on Check Connection in order to ensure that our ClipBucket application is able to connect to the database server. Next, we'll be asked to set the admin username, password and email address. Here, we set the default username and password ie admin and admin respectively. Now, we'll be asked to enter the Website Title, Slogan and URL of our brand new video streaming site. 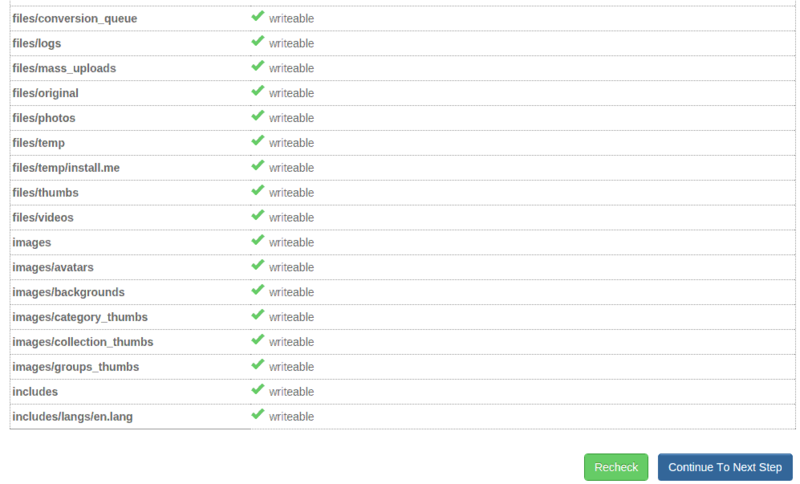 Then, finally we'll see another screen where we'll be said that Clipbucket has been successfully installed. After its installed, we'll need to further make sure to perform post installation tasks. After its installed, we'll be asked to delete cb_install directory from the Clipbucket website path. To do so, we'll need to run the following command. 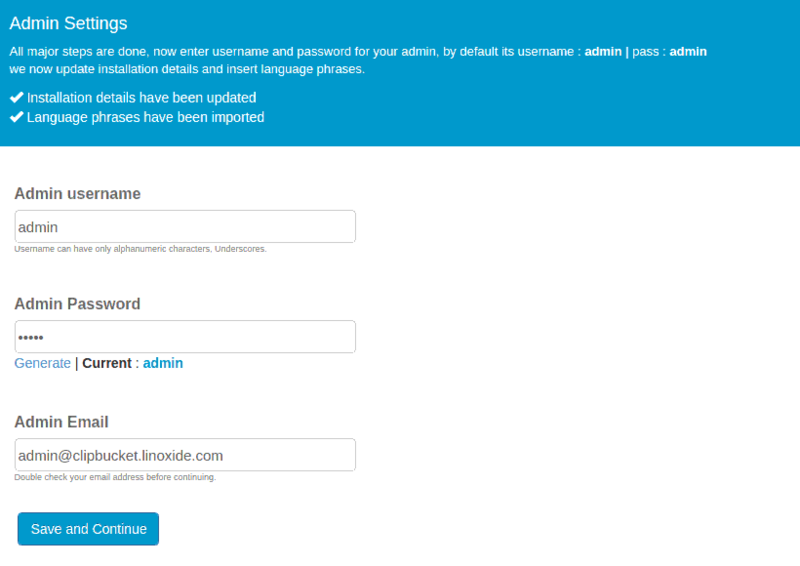 After its done, we'll go to the login page and enter our username and password as admin and admin respectively. We strictly recommend everyone to change your administration username and password for the security measures. Hello dear, first of all I wanna thank you for this tutorial. secondly, I follow every steps until step 13 but I'm facing a problem in step 14 once I put this address "http://clipbucket.linoxide.com/" in the browser it says "Problem loading page" and written server not found. so do you have any idea what's the problem that I'm having? 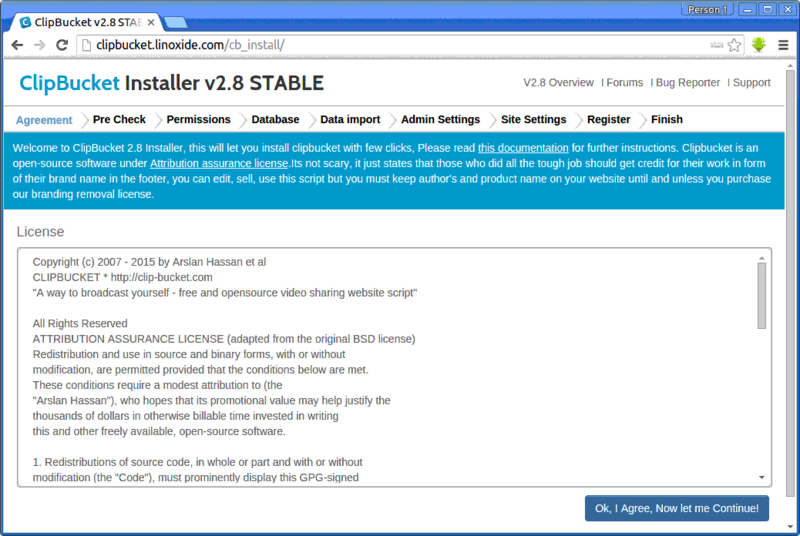 You'll need to replace http://clipbucket.linoxide.com/ with the domain where you are installing ClipBucket. The error you got "Problem loading page" was encountered cause that url "http://clipbucket.linoxide.com/" is not a valid url. Please also make sure that you replaced it to your domain while configuring the Apache Web Server. Thanks for the tutorial. I am having problems with permissions though. Even having set permissions to 777 for all the specified directories clipbucket installation is still failing on Checking File & Directories Permissions in the web based part of the installation. I am running CentOS 7. Is there anything else I should check. Make sure that you ran sudo chown apache:apache -R /path/to/webroot/ to fix the ownership to apache process owner. If you have already done the above and still not working then, its probably due to selinux enabled in your system. You can fix the selinux issue with apache web server by running the following command. I have to say thank you for this tutorial. It has shown to be invaluable. I'm migrating my ClipBucket website to a new server running CentOS and have run into a few problems, which the information your tutorial has helped. I'd like to add that there are a few things missing in your tutorial for Centos 7. I ran into the same problem, and after a fair amount of research, I found the fix. It is an SELinux issue. SELinux can be disabled, or the following commands can be run. semanage fcontext -a -t httpd_sys_rw_content_t "/var/www/clipbucket/cache(/.*)?" semanage fcontext -a -t httpd_sys_rw_content_t "/var/www/clipbucket/files(/.*)?" 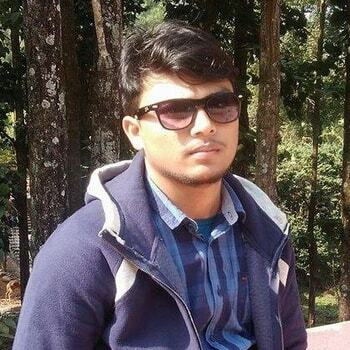 semanage fcontext -a -t httpd_sys_rw_content_t "/var/www/clipbucket/images(/.*)?" semanage fcontext -a -t httpd_sys_rw_content_t "/var/www/clipbucket/includes(/.*)?" The requested URL /cb_install/ was not found on this server. same problem after 10 times trying..... and problem with MARIA DB ..
ERROR 2002 (HY000): Can't connect to local MySQL server through socket '/var/lib/mysql/mysql.sock' (2) ?????????????????????? i need more detail tutorial for installing flvtool2. i use ubuntu 16.04 and i can't find that package in that version. After installation I am able to upload videos but it doesn't appear that ffmpeg is encoding them. Any suggestions? Thanks. Also, not sure if it is possible that the file on source forge changed? Not sure how their end works. which OS and version using ? how u are trying to install ? man.. you are the best ... really thanks man.